Check Nigerian Presidential Election Result 2019 | INEC Portal www.inecnigeria.org. 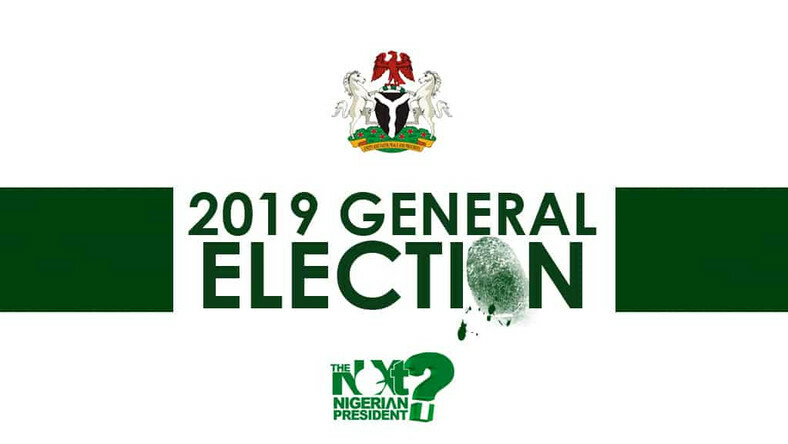 The Independent National Electoral Commission (INEC) headed by Chairman, Mr. Mahmood Yakubu will announce officially the results of all elections ranging from the presidential level to state level which will be held on Saturday, 23rd of February, 2019. We the CSN Team will be bringing you live updates as the results unfold… Stay tuned. The October 7 deadline set by the Independent National Electoral Commission (INEC) to register candidates has now passed and all the parties interested in contesting have elected their candidates. While President Muhammadu Buhari was affirmed as the candidate of the All Progressives’ Congress (APC) at the party’s national convention this weekend, former Vice President, Atiku Abubakar, was elected the candidate of the People’s Democratic Party (PDP). While many believe that next year’s election will be closely fought between the candidates of the two leading parties, there are a lot more candidates who will appear on the ballot on February 16, 2019. Here is a list of all the presidential candidates that have emerged to contest on the D-day. Last Four Years Presidential Result and Record from all Pulling Units. President Goodluck Jonathan of the PDP has won the presidential election in Nasarawa State, defeating main challenger, General Muhammadu Buhari of the APC. Jonathan polled 273, 460, while Buhari polled 236, 838 votes. The presidential candidate of the All Progressives Congress (APC), General Muhammadu Buhari has won the presidential poll in Oyo State, according to official results announced by INEC in Ibadan, the capital, on Monday. The APC candidate polled 528,620 while the incumbent President Goodluck Jonathan of the Peoples Democratic Party (PDP) polled 303, 376. The APC’s presidential candidate, General Muhammadu Buhari has won the presidential poll in his home state Katsina, defeating incumbent President Goodluck Jonathan of the PDP by over a million votes. Announcing the result, Katsina’s INEC Chief collating officer for the poll said Buhari polled 1,345,441 votes, while incumbent President Goodluck Jonathan of the PDP polled 98,937 votes. General Muhammadu Buhari, the presidential candidate of the All Progressives Congress (APC) has won the presidential election in Kwara state, polling 302, 146 votes, while incumbent President Goodluck Jonathan of the Peoples Democratic Party (PDP) polled 132, 602 votes. Announcing the result, state collating officer, Professor Musbau Akanji, said total valid votes cast in the poll was 440, 080. The Independent National Electoral Commission (INEC) has declared General Muhammadu Buhari of the All progressives Congress (APC) winner of the presidential election conducted in the state last Saturday. Buhari won by 60.3 % of the total votes collated at the poll. Kogi State Collation Officer, Prof. Adikwu Michael, who declared the result in state capital Lokoja on Monday, said Buhari polled 264, 851 votes ahead of incumbent President Goodluck Jonathan of the Peoples Democratic Party (PDP), who polled 149, 987 votes. Buhari won in 15 local government areas while Jonathan took 6. The collating officer said 439, 287 votes were cast at the poll in the state. The presidential candidate of the All Progressives Congress (APC), General Muhammadu Buhari has been declared winner of Saturday’s presidential election in Ondo State, southwest Nigeria. Buhari polled 299, 889 votes to beat President Goodluck Jonathan of the Peoples Democratic Party (PDP) who polled 251, 368 votes, according to poll results declared by INEC on Monday. Total number of votes cast was 561, 056. President Goodluck Jonathan has won all the 16 local government areas of Ekiti State, Southwest Nigeria, according to results of the presidential election announced by INEC in the state. The President’s party, the Peoples Democratic Party (PDP) also won all the National Assembly races in the state. The Chief Returning Officer for the Presidential election for Ekiti State and Vice-Chancellor of Federal University of Technology, (FUTA), Akure, Professor Biyi Daramola, said Jonathan polled 176,474 votes ahead of General Muhammadu Buhari of the All Progressives Congress (APC), who got 120, 332 votes. The candidate of the All Progressives Congress (APC), General Muhammadu Buhari, has defeated incumbent President Goodluck Jonathan of the Peoples Democratic Party (PDP) in Saturday’s presidential election conducted in Ogun State, Southwest Nigeria. According to official results declared by the Ogun State Collation Officer, Duro Oni, on Sunday night in capital Abeokuta, Buhari polled 308, 290 votes while Jonathan polled 207, 950 out of 559, 613 total votes cast. Ijebu North-East, Odogboolu, Abeokuta North, Ado-Odo/Ota, Abeokuta South, Ewekoro, Obafemi-Owode, Ijebu-Ode, Odeda, Egbado South, Ifo, Egbado North and Ipokia local government areas, while President Jonathan won in 7 LGAs; Ikenne, Ijebu-North, Ijebu-East, Sagamu, Imeko-Afon, Remo-North and Ogun waterside.